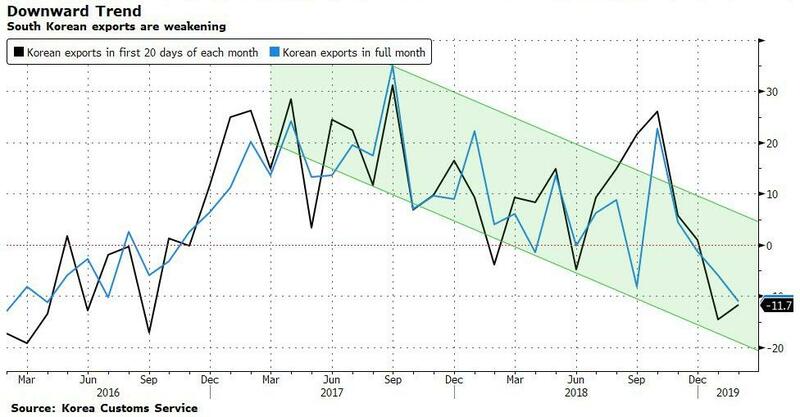 The preliminary data - for the first 20 days of the month - saw exports fell 4.9% from a year earlier, putting them on course for a fourth consecutive monthly decline. "Beijing is Seoul’s largest trading partner, with exports to China amounting to about 10 percent of Korea’s GDP," said Bloomberg Economics’ Justin Jimenez. 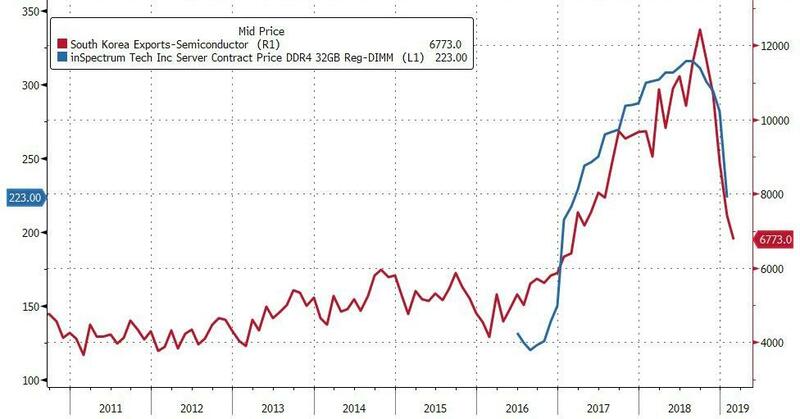 "Our base case is that a continued cool down in Sino-U.S. tensions will provide some relief to China’s economy -- and in turn, South Korea’s. A breakdown in talks though, remains the key risk."